SysAid offers excellent analytics software. SysAid's analytics software can be used to compare your IT department to other companies. This is a great way to improve your business' strategies. You can compare your company to businesses located throughout the world. Since there are many businesses that you can compare your IT department too, it is likely that you'll be able to compare your business to other companies that are in the same industry. SysAid's graphics are far more impressive to look at than the ones created by most other software programs. SysAid utilizes animation to create the graphics. In addition to making them more visually appealing, the animation also makes SysAid's reports easier to understand. KPI analyses are an important part of ensuring that your computers run smoothly. SysAid offers 15 Bl options to choose from for your KPI analyses. These KPIs are pre-configured, and they are exceptionally effective at optimizing the system. SysAid can make your devices less vulnerable to malware. New security patches are released on a regular basis. This is especially important currently since new threats frequently arise. A new security patch is available to protect your computer(s) against a new and particularly dangerous form of ransomware, called Wanna Cry. When data is stored in the cloud, it's safe from physical threats to your device. The data can be accessed anywhere. This is important for many business owners who travel. The data can easily be accessed on multiple devices. Security: Even though cloud storage involves the internet, this software is quite secure. SysAid uses strong security protections to ensure that your data remains safe. Quality Storage: World class data centers are used to store the data. These data centers are in several different regions of the world. It's quite convenient to download SysAid On Premise. SysAid On Premise comes with multi-platform support. You can use Microsoft SQL. It's also possible to use Oracle and My SQL with it. Since the data is stored on the hard drive, the software can be used for the storage of data that is too sensitive to be stored in the cloud. SysAid's asset management can help you to run your business better. It allows you to scan your network, monitor your computers, mobile devices and software. The software is well known as an excellent choice for ITSM. SysAid comes with a remote desktop feature. This is important for many business owners. SysAid Remote Desktop ensures that permission is granted before a connection is established. Furthermore, it's possible to configure the remote desktop connection with only one click. Many other remote desktop services aren't anywhere near as easy to use. Furthermore, it is possible to use the software with the firewall on. The remote connection is designed with security in mind, and it is quite secure. While the price of the software varies, it's quite easy to get a quote from SysAid. Generally speaking, the cost of SysAid is less than many other types of help desk software. All you need to do is fill out an online contact form. SysAid will get back to you quickly. If you aren't sure whether or not you'd like to use SysAid, you can get a 30-day free trial. 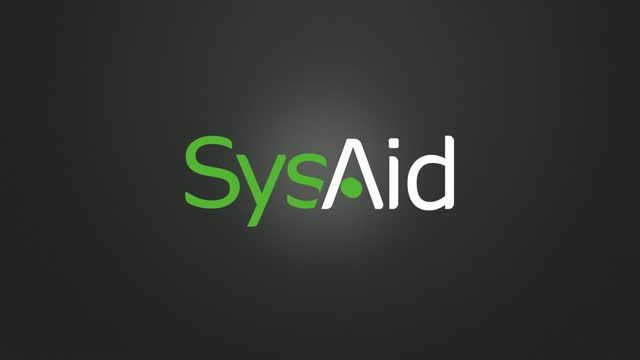 Many prominent companies use sys Aid. Some examples include Georgetown Law, General Cable and Meditron C.A. These companies have been extremely satisfied with the experiences they have had with the software. The software has been featured by PCMag, and the magazine gave it a high rating. It is also featured on many other software review sites, and it has gotten high ratings from many sources. Also, SysAid is recommended by many IT experts.